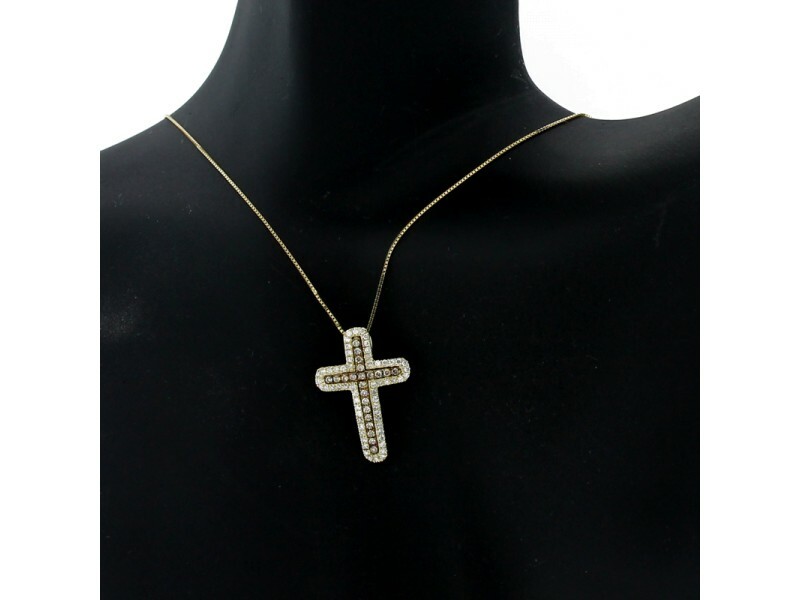 This beautiful pendant necklace looks amazing on any neck. 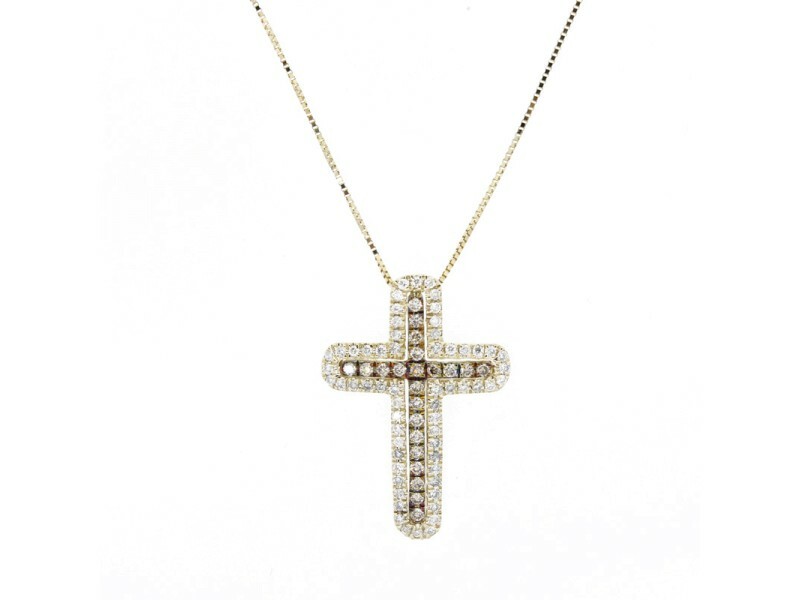 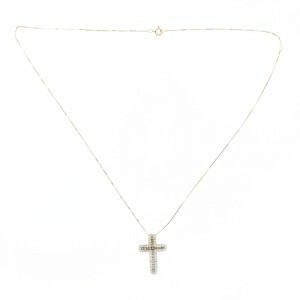 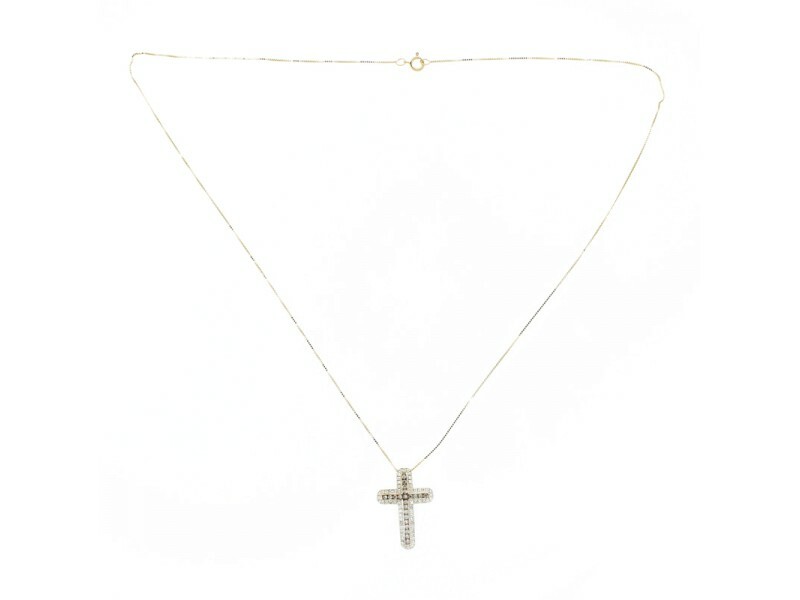 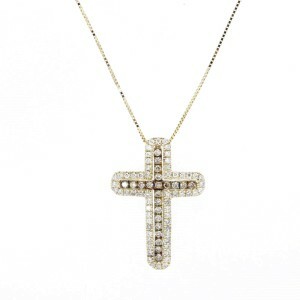 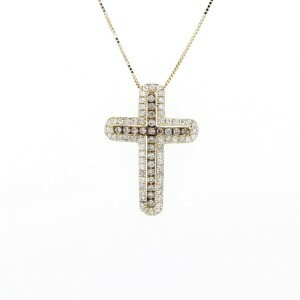 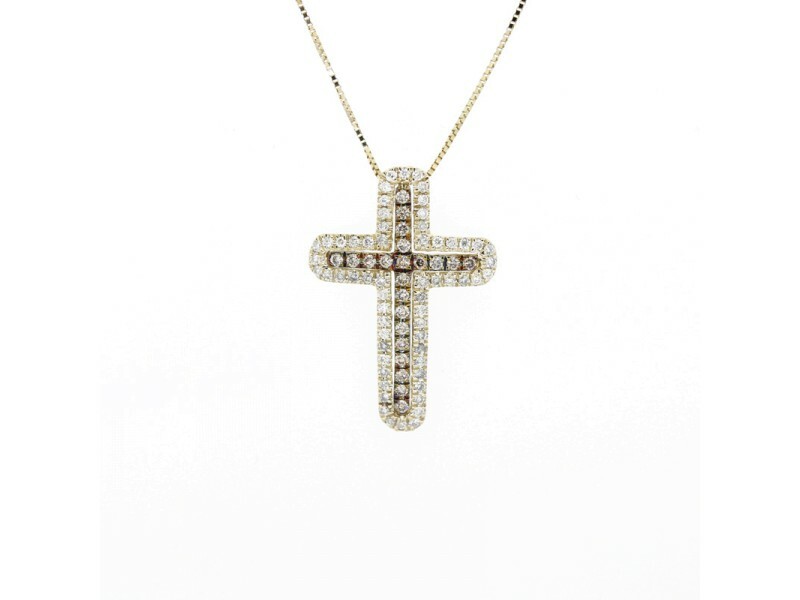 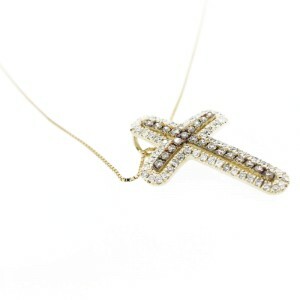 Using champagne and white diamonds on 10K yellow gold this necklace is a great addition to any jewelry collection. 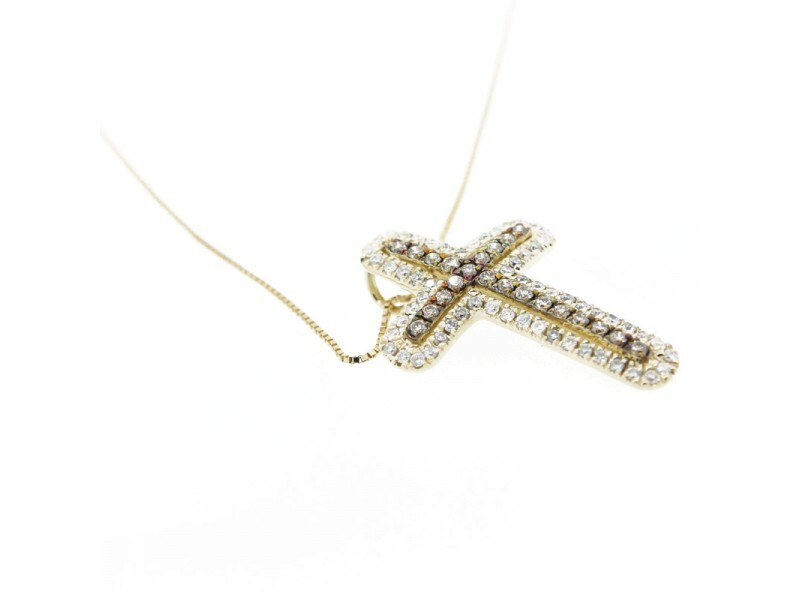 Total weight of diamond is 0.38ct.